The pioneering genius of Japan's "god of manga," Osamu Tezuka (1928–1989), is examined through his life's masterwork: Tetsuwan Atomu. Also known as Mighty Atom or Astro Boy, Tetsuwan Atom was a comic series featuring a cute little android who yearns to be more human. The history of Tetsuwan Atomu and Tezuka's role in it is a road map to understanding the development of new media in Japan and the United States. 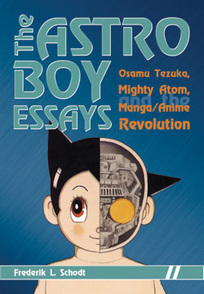 Topics include Tezuka's life, the art of animation, the connection between fantasy robots and technology, spin-offs, and Astro Boy's cultural impact. Story and art by Frederik L. Schodt.